As much as we all want motherhood to be sunshine and roses all the time, the reality is that in between the beautiful and perfect moments, the majority of the time it is the most difficult thing in the world. Not just simply because of manual labor and exhaustion involved, but because of the emotional upheaval that just comes with the territory. Childbirth and motherhood preparation is about self-discovery and healing, whether you are conscious of it or not, whether you are a year away from trying to conceive, 7 months pregnant, or an experienced mom. In my From Maiden to Mother eCourse, I am the midwife to your discovery and journey, not the expert from whom all wisdom flows. Knowledge is not “given” to you, rather you will be led to the spring of your unconscious from which truth of a personal nature will flow. 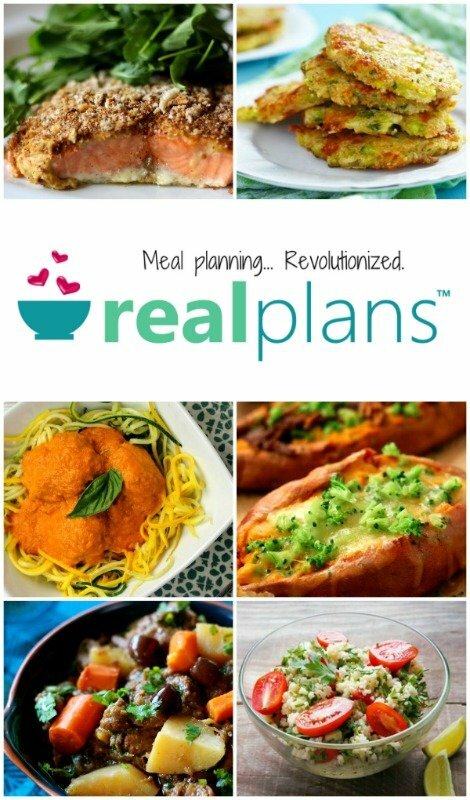 I have been working on this eCourse for over a year now. I have poured my blood, sweat and tears into it and I am so excited to share it with you. I am honored to be on this journey with the ones who decide this is exactly what they have been searching for. Birth profoundly changes people socially, spiritually and psychologically. All who participate in birth, not just mothers, are affected by its power. This change and tapping into this power can be incredibly scary and intimidating for women – whether they knew about it beforehand or not. This eCourse will explain why childbirth is so profound and powerful of an experience, and help you navigate these turbulent waters. In fact, it will be your life vest, like a best friend would be. I am not different, and motherhood has brought up all my junk just like everyone else, but because I was forced to start working on my junk early than most people, because of trauma and abuse from my childhood, I had the people and resources in place to rely on keep me grounded and healthy during motherhood. So not only will this course be information from me, but I also interviewed experts and practitioners that I have worked with the last 13 years that have helped me tremendously. This eCourse will give you opportunities for personal learning and help you start the foundation for healing on all levels. You will unlock the secrets in your heart that only you have access to. The profound mystery and spirituality of birth and motherhood can never be understood only with the mind, they are known with the heart. In this course, I don’t just go over handy tips, tricks and information to help this process go smoother, I also help you get real, wake up and go deep in your personal growth and healing work. 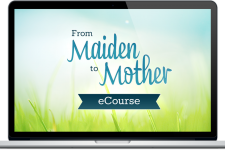 The From Maiden to Mother eCourse will help you release, heal, open up and not only attract your baby to you, but help you birth your baby and yourself. You will be reborn as a mother. It will uplift, inspire, and help open your body, heart and mind for labor and parenthood, no matter where you are on your parenthood journey. There’s something here for you whether you’re trying to conceive, already pregnant, or in the thick of motherhood. The purpose of this eCourse is not to achieve a specific outcome, rather it’s to help you give birth and parent in awareness and start healing your junk so you don’t pass it on to your kids. In the past, women held the ancient wisdom and secrets to motherhood and it was passed down generation to generation, but somewhere along the way that ancient wisdom got lost in the shuffle and women themselves got lost. They became disconnected with the spirituality of birth and motherhood and that disconnection has caused so much strife and struggle. This is an eCourse to help you find your way back home. Your life vest for when you are sinking, and you will be sinking at some point, mark my words. You will learn so much information from my years of experience working with expectant couples. You are also going to be given tools to learn about yourself – things you cannot learn from a book or a normal childbirth class. Preparing for the arrival of a child, for motherhood, is a portal to another level of consciousness that you do not normally have access to. There is a natural and normal psychological nesting to be done throughout pregnancy, a housecleaning of the mind. It is a chance to notice and question cultural assumptions and beliefs that may be holding you back or limiting your life in some way. 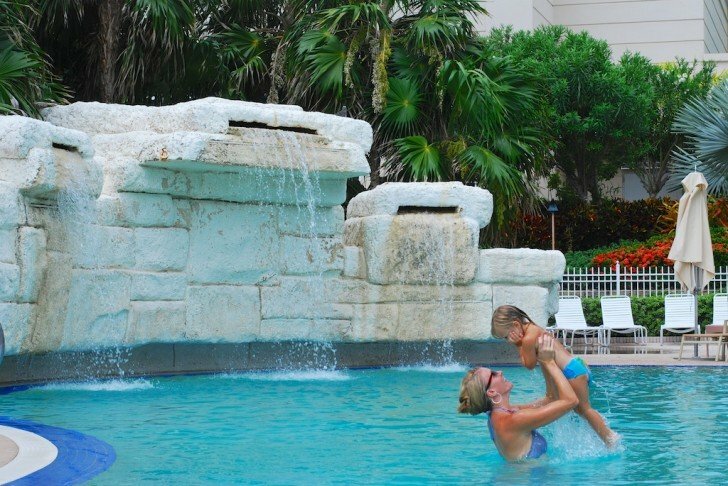 At the deepest level, you may start to realize it is the body that carries pain, trauma and stress and during the emotionally poignant, altered consciousness states that come along with preparing for a child and in motherhood, all those stuffed down pains, traumas and stress can come spilling up and out. Preparing for motherhood and motherhood in general brings up your baggage like nothing else. Take advantage of this time in your life to do the household cleaning on your mind, body and soul-my eCourse will give you the tools to get started. This eCourse will help you figure out what it is that is holding you back and then give you the guide map to heal it. It will help you heal and prepare on all levels – Physical, Emotional, Spiritual, and Mental – and during all phases, preconception, pregnancy and postpartum. Who you are in labor and as a mother is merely an extension of who you are in the rest of your life. So by doing mental, emotional, spiritual and physical work now will aide you in your journey. It will still be hard work, but you will have a leg up and all the tools you need to keep one foot on the ledge at all times and the tools to weather the storms more consciously, peacefully and gracefully. Who’s ready to get started?! Invest $99 today and get immediate access to the eCourse and the private Facebook page. 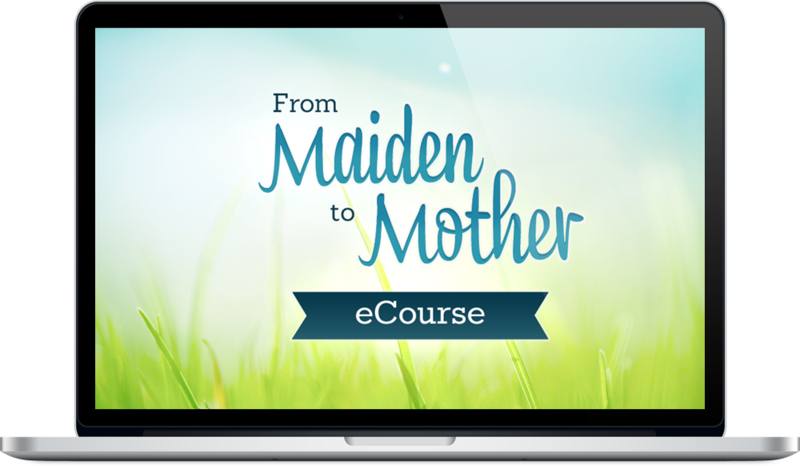 From Maiden to Mother eCourse is HERE! !